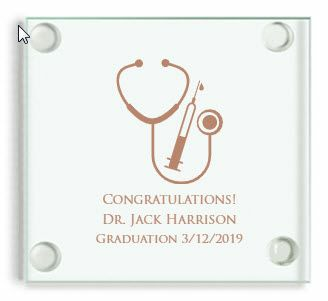 With so many designs, these coaster medical theme party favors are a wonderful, personalized guest gift. 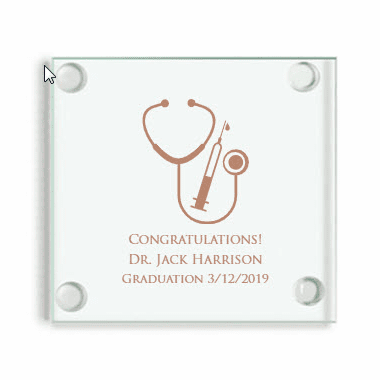 Each custom printed glass coaster measures 3.5 inches square and has rubber feet on bottom for non slip function. Your design is silk screened directly on to the glass. The coasters come bulk packed directly from the printing warehouse.